Later when the wedding is over, you will have the privilege of visiting nearby exotic islands and snorkel in the fantastic underwater world. As if this is not enough the ceremony package will ensure that you enjoy a romantic dinner with your better half while watching the sunset. You have the option to choose between either a loud ceremony or a quiet dinner. However, it is important to note that not all components or rather features will be available when you choose to have the ceremony on the Yacht. It is suitable for less than 20 guests. It is not like most wedding ceremonies in Bali. 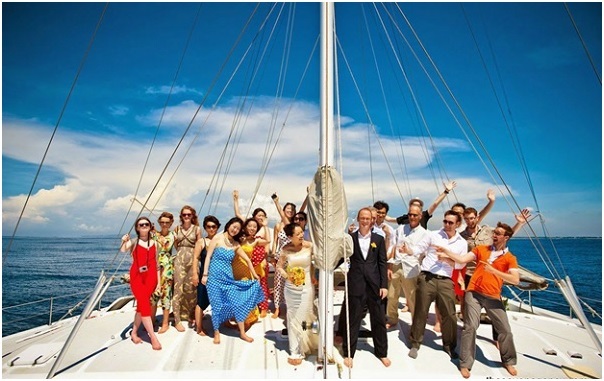 If you are looking for a more exotic yet unusual wedding experience, then this is your ideal package. Unlike most services that take place in the white sandy beaches and oceans, lake wedding ceremonies take place in a volcanic lake located high in the mountains. The volcanic lake is characterized by crystal clear water, green gardens and has a temperature of 23 degrees Celsius. This specific wedding ceremony will take place at Lake Beratan, which is closely located to the Ulan Danu temples. After that, you will be escorted to a villa, where you will spend your night while stunning views of the island and the mountains. It is also suitable for a less number of guest. This ceremony is meant to be private; therefore the wedding will take place in a secluded area, allowing only guests and family members to attend. The wedding takes place at an exclusive beach with beautiful, white powdery sand. You will also have exclusive photo sessions and a romantic dinner at a private cliff. One can choose the romantic after dinner as an add on to this wedding package. Planning a wedding is challenging. Seven agency deal with numerous wedding packages. 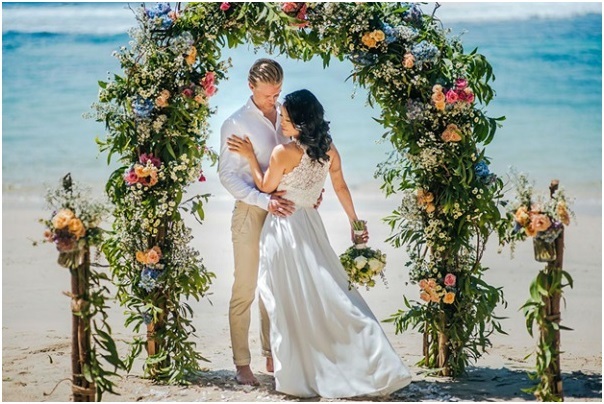 They have the most extensive choice of available wedding venues and locations and are members of Bali wedding association, the only legal wedding association in Bali. They also have hundreds of genuine reviews from real brides. In case of doubt, you can check their FB page and contact the brides to know more about their services.